Minden, NV…On Friday, June 15th, 2012, in a ceremony officiated by Douglas County Sheriff Ron Pierini, twenty-one students from Pau-Wa-Lu Middle School graduated from the nationally acclaimed Gang Resistance Education and Training (G.R.E.A.T.) program. The week-long program was instructed by Youth Service Officers Chris Griffith and Teresa Duffy of the Douglas County Sheriff’s Office. G.R.E.A.T. is a cooperative effort between law enforcement, schools, parents and the community – all working together to help children make good life choices. The goal of the program is to prevent youth crime, violence, and gang involvement, while developing a positive relationship among our young people to create a safer community. Sheriff Ron Pierini and the members of the Douglas County Sheriff’s Office are focused on combating gang activity in and out of our community. The G.R.E.A.T. program is a vital tool in that effort. 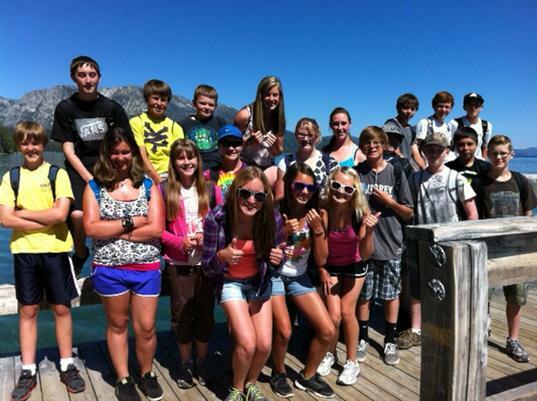 Twenty Carson Valley Middle School students graduated from the G.R.E.A.T. program the previous week.